An Evanston Police Department squad car. EPD reported that 16 people were taken to the hospital on Dillo Day this year. Sixteen people were taken to the hospital for alcohol intoxication during Dillo Day this year, an increase from 15 people last year and a decrease from 28 people in 2016, police said. 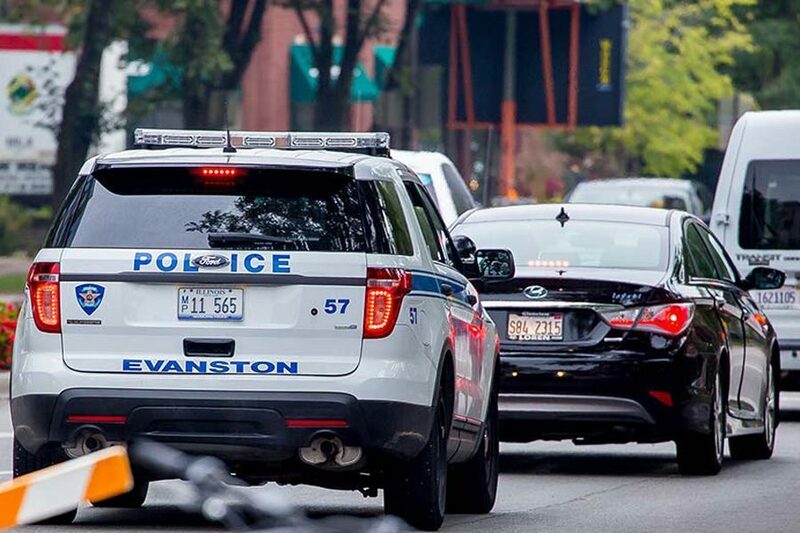 The Evanston Police Department shut down two parties, Evanston police communications coordinator Perry Polinski said. He said both parties complied with police requests to shut down. Last year, police shut down two parties as well, a sharp decrease from 19 in 2016. Polinski said there were three citations issued — for Illegal Transportation of Alcohol, Consumption of Alcohol by Minor and Possession of Fake ID — and there were no major incidents. There were four citations last year and seven in 2016. EPD also partnered with Northwestern Student Affairs for the “knock and talks” and followed up on loud parties before they became complaints.